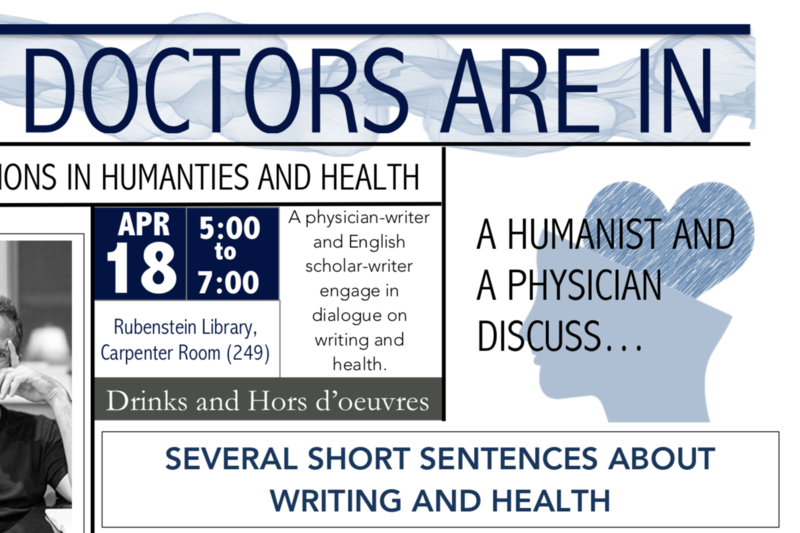 The "Doctors Are In" series brings together a humanities scholar and a health care provider to engage in conversation on mutual interests, different professional practices and frames for similar concerns. This iteration of the series will feature Dr. Raymond Barfield and Dr. Verlyn Klinkenborg, who wrote the seminal book Several Short Sentences About Writing, for which this event is named. Join us for a light reception beginning at 5pm to be followed by a conversation between Dr. Barfield and Dr. Klinkenborg.